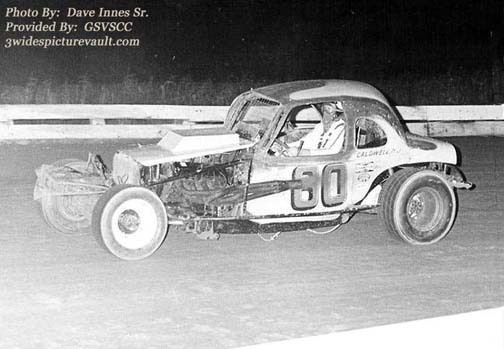 2/5/19: The racing community is sad to learn of the tragic passing of modified car owner Bill Hewlett. 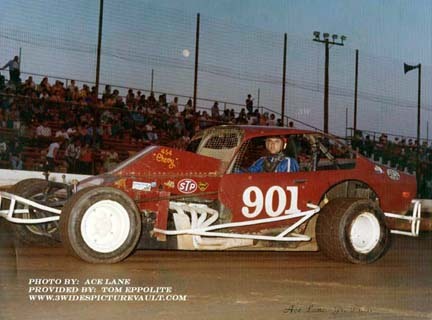 Bill's signature #901 modifieds have been on the racing scene for the past 6 decades with drivers such as Larry Voss, Tom Eppolite, Bob Ayres behind the wheel in the early years, and drivers Jim Horton, Richie Pratt, Ryan Godown and many others in more recent years. Bill was also a huge help to those who wanted to learn more about the sport. 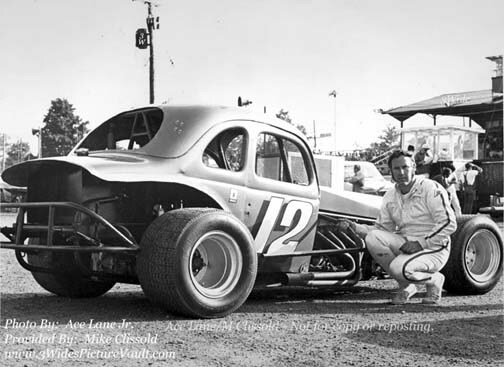 One of those who Bill gave an opportunity to learn back in the early 70's Charlie Langenstein, who would later go on to key roles at many of the top modified teams, followed by many years as Head Mechanical Director at Hendrick Motor Sports. 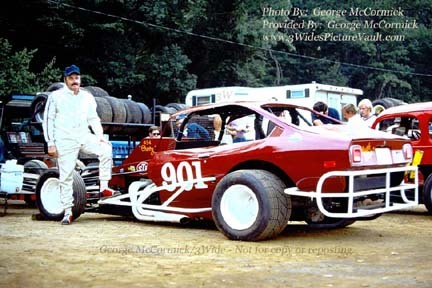 Charlie offered these words: "I owe so much to Bill for giving me my start on working on race cars. My dad worked at the race track many years ago for Bill. 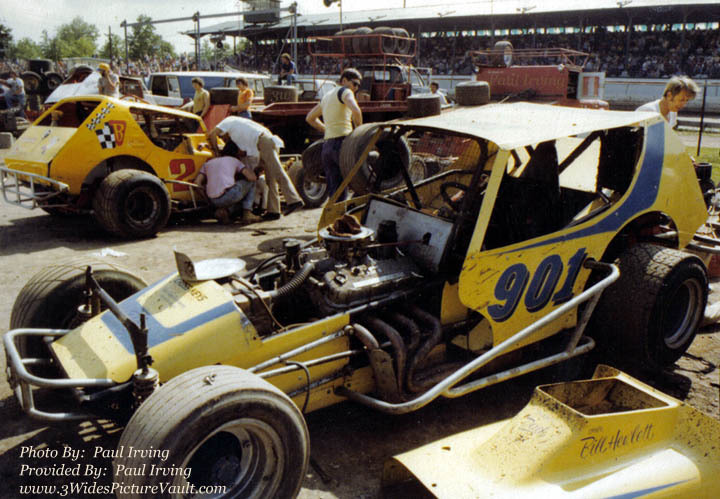 I first helped Bill on his race car at Reading Fairgrounds when Johnny Bennett Sr., and later when Larry Voss drove his car. Bill and I spoke many times about how he had giving me my start on working on the famed 901. He believed in me enough to work on any end of the car without checking on my work. 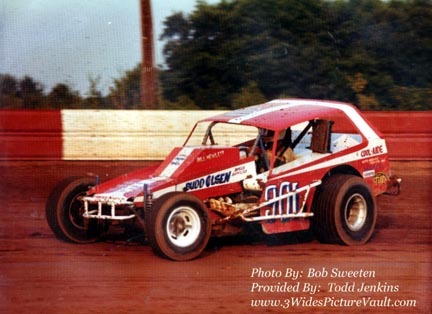 He did things his way and he gave many different drivers a chance to drive for him." "Last season, Bill and I talked about giving my son Austin a chance to drive his 901 race car. It was his idea because he, in his words, wanted our friendship to come full circle. He was that kind of a guy. He gave many drivers a chance during different stages of their careers and proved once again that with the right driver behind the wheel of his cars, and with Bill's knowledge, they could still win races." "Bill was truly a special person that comes along once in a life time. I can't ever thank this special person enough. We pray that his wife gets well, and God bless you Bill. You had one heck of a ride. Not only with your 901 race cars, but in life itself. You will be missed buddy. RIP Bill." We will always remember Bill's dedication to the sport. We send our condolences out to the Hewlett Family at this very difficult time. 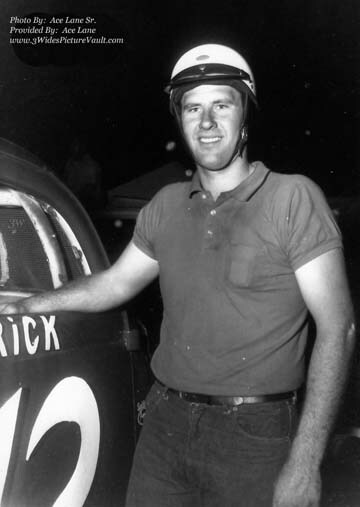 1/23/19: Sad news has reached us on the passing of Rick Thum. 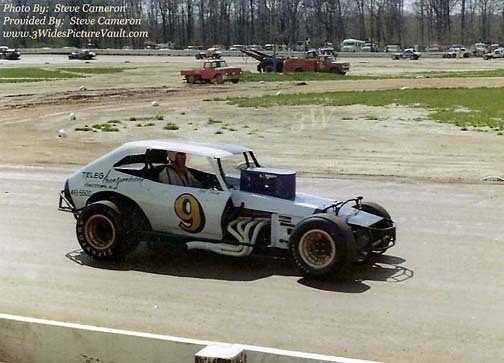 In addition to driving his own blue #12, in the 60's & 70's at many of the area short tracks including East Windsor, Flemington and others, Rick also drove the Inzeo #80, the Cass #9, and other cars through the years. 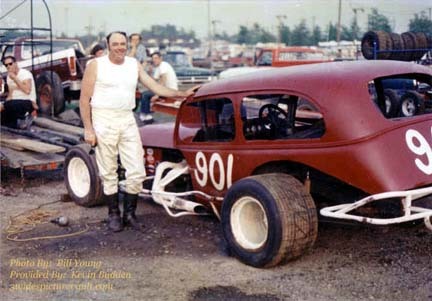 After retiring as a driver, Rick was a successful car owner with drivers Frank Cozze, Danny Johnson and others behind the wheel. We send our condolences to the friends and family of Rick Thum.